Sauté the garlic and minced chilies in extra virgin coconut oil over medium-high heat until garlic turns slightly brown. Add the rice wine and cook for 1 minute to evaporate the alcohol. Then add Tamari and lemon aspen (or Meyer lemon) juice. Let cook for 1 minute. Stir, add the shrimp, and raise the heat to high. 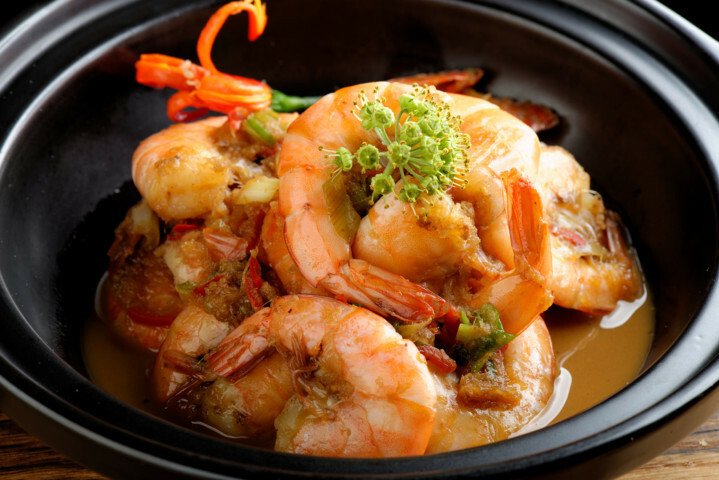 Cook, stirring often, until the shrimp become pink – between one and two minutes. Then remove from the stove immediately, garnish with chopped scallions, and serve the shrimp, along with the sauce.